Have you ever read a quote that inspired you? Heard a comment that struck a chord? Found an idea to guide your thinking, or an image brought to life a concept? “Take A Minute To Mentor” offers all of the above. A wonderful gift or something to inspire your own day, this delightful A6 flip over book contains sixty, one-minute thought starters for mentors. 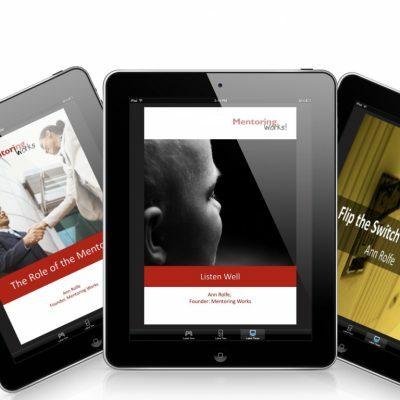 “Take A Minute To Mentor” provides topics for mentoring conversations, insight and wisdom that everyone can use. “Take A Minute To Mentor” offers all of the above. 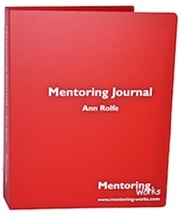 A wonderful gift or something to inspire your own day, this delightful A5 flip over book contains sixty, one-minute thought starters for mentors. 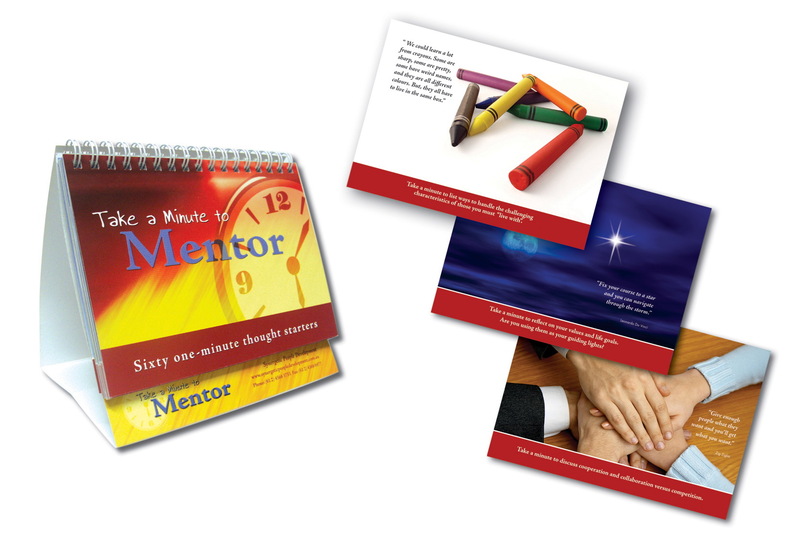 Take A Minute To Mentor is a special little book that takes pride of place on many desks. With its inspiring images and quotes and thought starters for mentoring conversations, it’s often given as a “Thank You” gift to mentors or as a way to help build a mentoring culture. Buy one for yourself now or email me for bulk orders.